This month’s newsletter is a relatively short one, as we have just completed a successful CBD COP 14 and are looking forward to our winter holidays. We would like to wish all of our members and friends season’s greetings and the best in the coming calendar year. We also have a brief report from COP 14, a Call for Papers for the next volume of the “Satoyama Initiative Thematic Review”, an announcement of Calls for Nominations for experts and fellows from IPBES, and a newsletter and new issue brief from the “GEF-Satoyama Project”. We are also happy to introduce one of our newest members, GIERI based in the Democratic Republic of Congo. We at the IPSI Secretariat would like to sincerely thank you for your ongoing support and cooperation. 2018 has been another important year for our partnership, with a number of major events and achievements. Our most important asset, our membership, has now grown to 240 organizations in all regions of the world, and we look forward to working closely with all of you in the future. As the calendar year comes to an end we hope you will keep in touch, and we wish you the best of success in your own lives and all of your work toward “societies in harmony with nature”. We would like to express our sincere thanks to the co-organizers of these events and everyone who took part in them. We were also able to take part in a number of related events held parallel to the conference, and we look forward to continuing to collaborate with all of our partners related to these important policy-making processes. The United Nations University Institute for the Advanced Study of Sustainability (UNU-IAS) and the Institute for Global Environmental Strategies (IGES) recently announced a call for papers for the fifth volume of the series “Satoyama Initiative Thematic Review”. The fifth volume will feature the theme “Understanding the multiple values associated with sustainable use in SEPLS”. Authors from IPSI member organizations who have case studies relevant to this theme are highly encouraged to submit a manuscript following the guidance provided in this call for submissions. The initial deadline for abstract submissions is 11 January 2019. Please see the full call for submissions on the IPSI website here. We encourage IPSI members to consider making nominations. 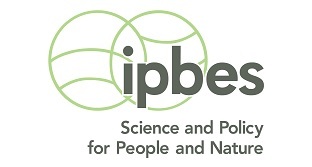 The IPSI Secretariat has signed a Letter of Agreement with IPBES to provide support through the IPSI network, and this is a good opportunity to contribute to ongoing policy-related work on biodiversity and ecosystem services. According to the Calls, nominees should have expertise related to the themes and skills required for the chapters of the assessment as set out in its scoping document (available here). If you are aware of any good candidates, please make your nominations directly to IPBES. For more information including how to make nominations, please see the full Call for Nominations for Experts here and the Call for Nominations for Fellows here. The GEF-Satoyama Project recently produced its quarterly newsletter, including updates from project components and reports of the recent GEF Satoyama Consolidation Workshop held in Mahebourgh, Mauritius on August 21-24, 2018. The newsletter is available on the GEF-Satoyama Project website here. One output of the workshop was also the production of an Issue Brief on “SEPLS: Experiences overcoming barriers from around the world”, which identifies challenges faced by SEPLS, including insufficient recognition of their value, disappearing traditional knowledge, and weak governance, and some suggestions and lessons learned from project subgrantees. The Issue Brief is available for download here. • Promoting Carbon Sequestration by protecting the forest community. • Promoting Agro-Ecology and Food Sovereignty. In recent years with a return of peace and stability in the region, the focus of GIERI’s activities have been on land restoration and environmental works and social community, including the implementation of a project in partnership with Australian Landcare International to reforest the degraded slopes of Kabare and Kasha Hills. GIERI mobilised the community within the catchment of Lake Kivu to address issues of land degradation caused by deforestation for firewood and construction materials. 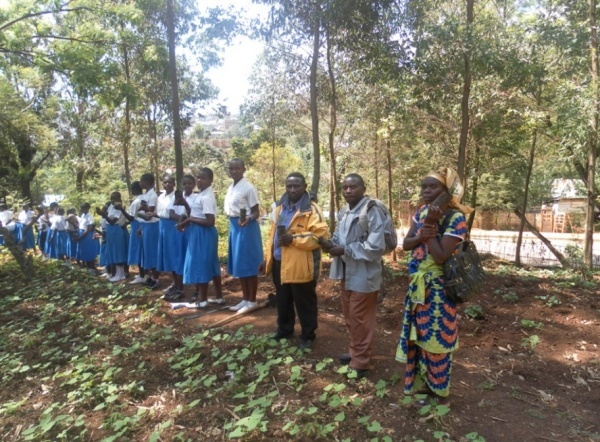 Despite operating in a high-risk environment plagued by rebels, the community dreams of the role of agroforestry in restoring their soils and protecting their land to attract youth into farming rather than warfare. For more information, please visit the GIERI website here.